The build up to pattern testing is stressful, I have no idea how the pattern is going to be received and whether the fit is going to be so off that it will take multiple versions to get right. But every time I test a pattern regardless of how many versions it takes my testers are always so patient with me and the process. I love having a fresh look at my patterns and take the time to hear what they have to say because I am by no means an expert, I really rely on their sewing knowledge for ever pattern. The testing process for Bellevue was the smoothest by far and my testers were all so amazing. I had a few that have tested many patterns for me and some new to me testers. I had a brand new pattern tester who made a version that was instantly added to the pattern, seriously these ladies were amazing. 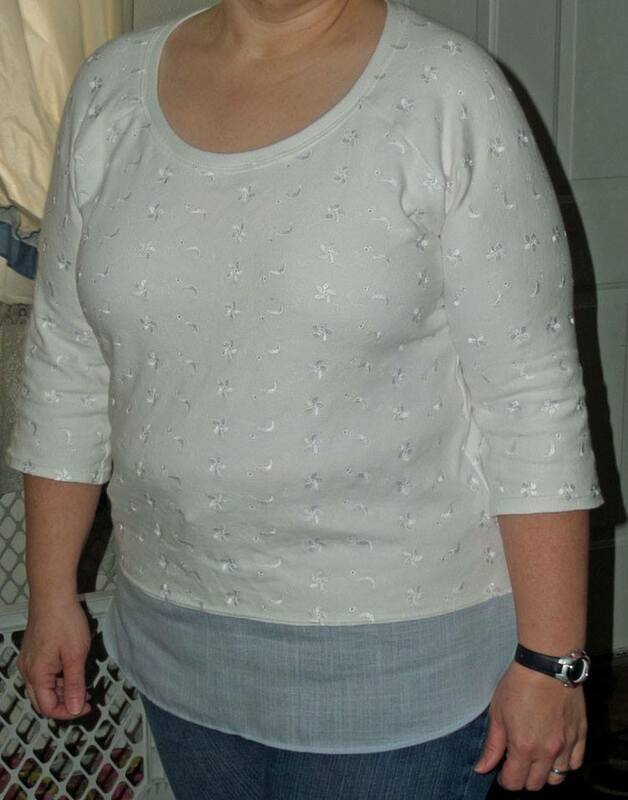 Because I have expanded my sizes to include 20-24 with this pattern I was excited about welcoming a new group of ladies who could help me hone in on the fit for those sizes. 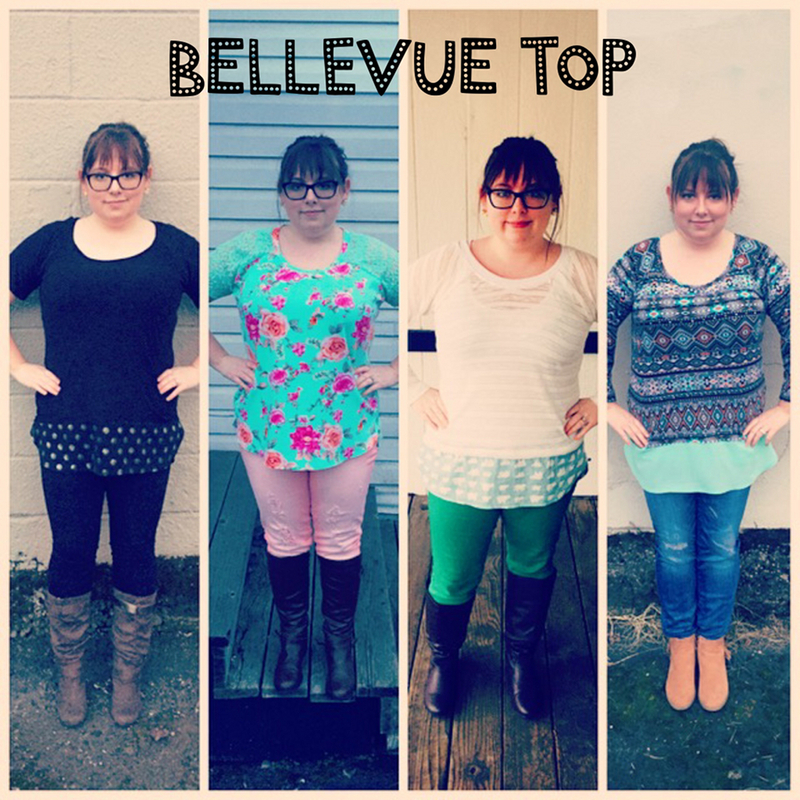 Without further ado, here are my lovely testers and they equally lovely Bellevue Tops. I hope seeing this pattern on a variety of sizes and shapes will show just how versatile the pattern is and how it definitely needs to be a part of your pattern collection. Kyla of Life by Ky jumped into her first pattern testing full of energy and made 3 different tops right from the hop. She is the person who suggested that this pattern would be perfect not only with the accent pieces but also with the easy modification I shared yesterday. Her fabric pairing was spot on! Kyla even went one step further and modified her Bellevue with a tutorial from Jocole to make it a nursing friend top for her sister. 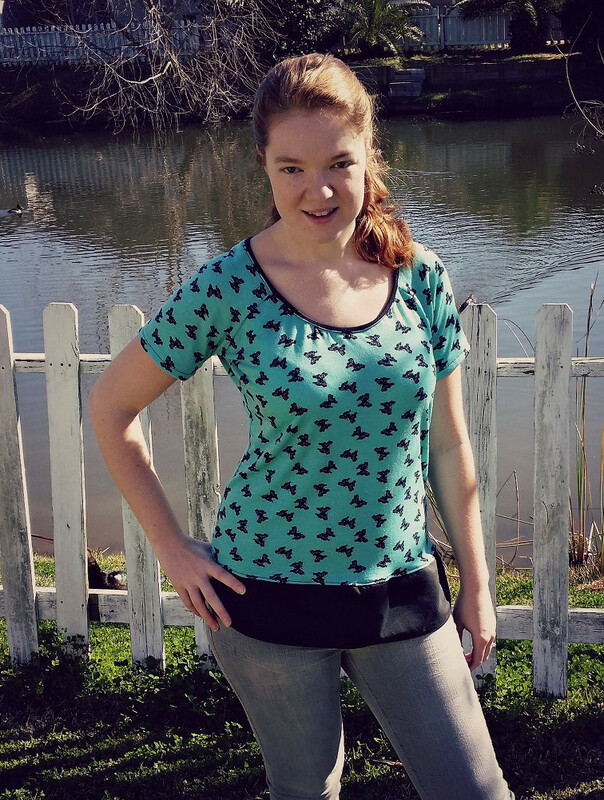 Shawna of Shawna Creates was in a sewing frenzy over the last week and whipped up 4 different Bellevue tops, all with different options and equally fabulous fabric combinations. This is the third pattern that Shawna has helped me test and I love working with her every time. Make sure to head over to her blog and get all the details on these four fabulous tops. Michelle of Style Makers Fabric wanted a new comfortable top to head out on a trip to help a friend with her new baby, so the testing for this pattern couldn’t have been more perfect. 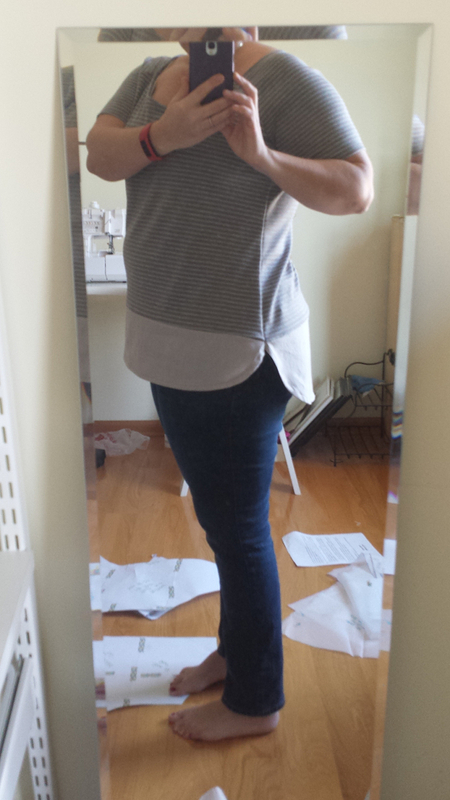 The fabric pairing for this top was perfection, the rayon challis is the perfect compliment to the striped jersey. 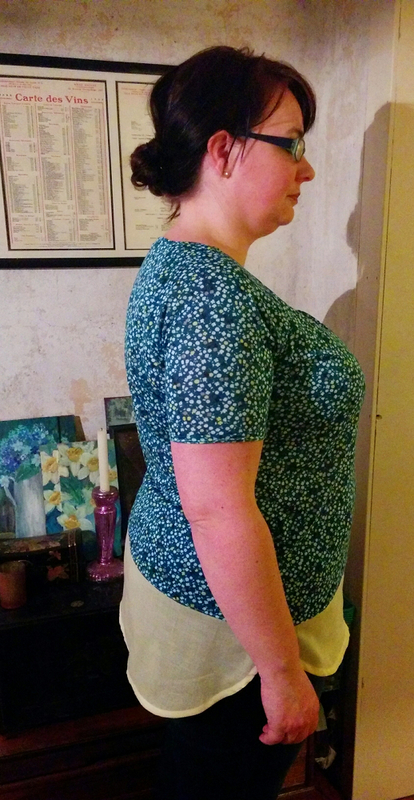 Sara of Made by Sara took the pattern and improved upon it by adding elbow patches! 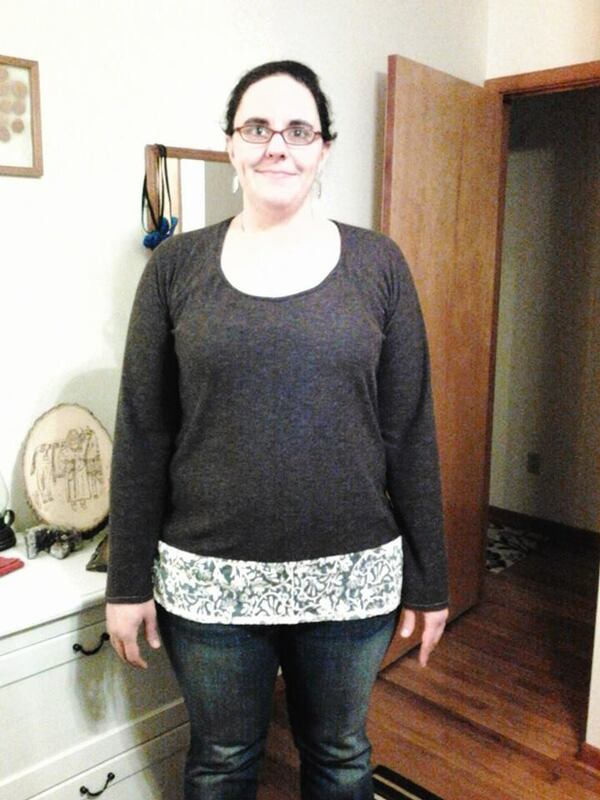 She used a merino jersey that looks so cozy and finished the bottom to achieve the layered look for her top. Watch tomorrow for my version that is inspired by Sara’s additions to this pattern. 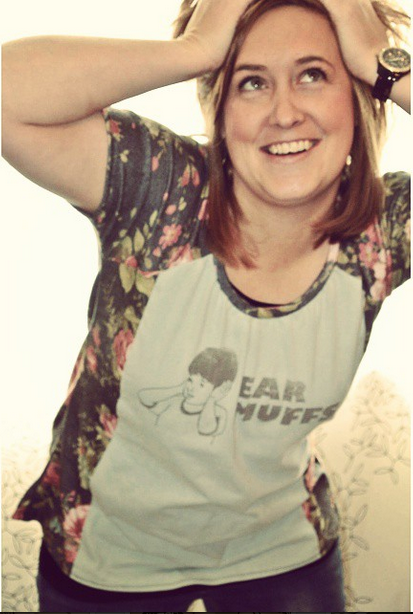 The lovely Jaime of Made by Jaime and I have become friends through this whole crazy sewing community, she is one supportive lady! I was so happy when she agreed to test this pattern despite having a busy schedule. Jaime helped test my Ballard pattern as well and is always so helpful working out the kinks. 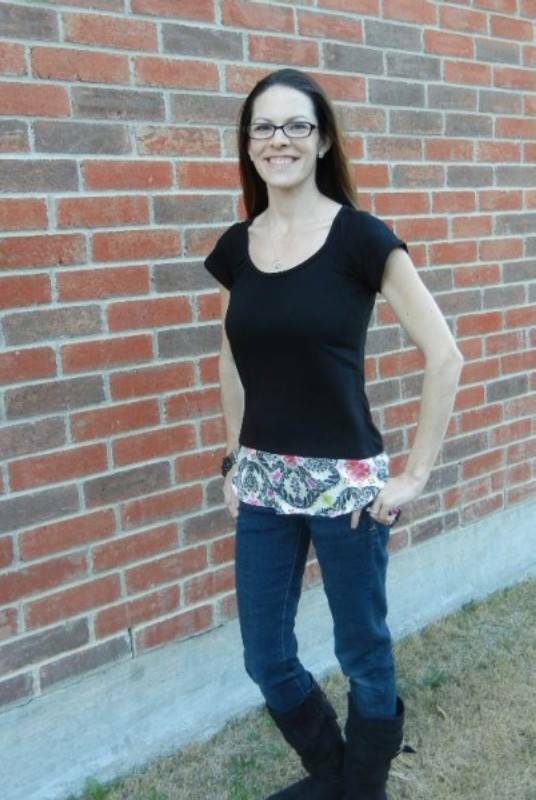 One of the ladies that helped me tremendously in my new expanded sizes was Rachel of Super Stay at Home Mom. She paired her geometric jersey with a fun lace that was a great contrast. 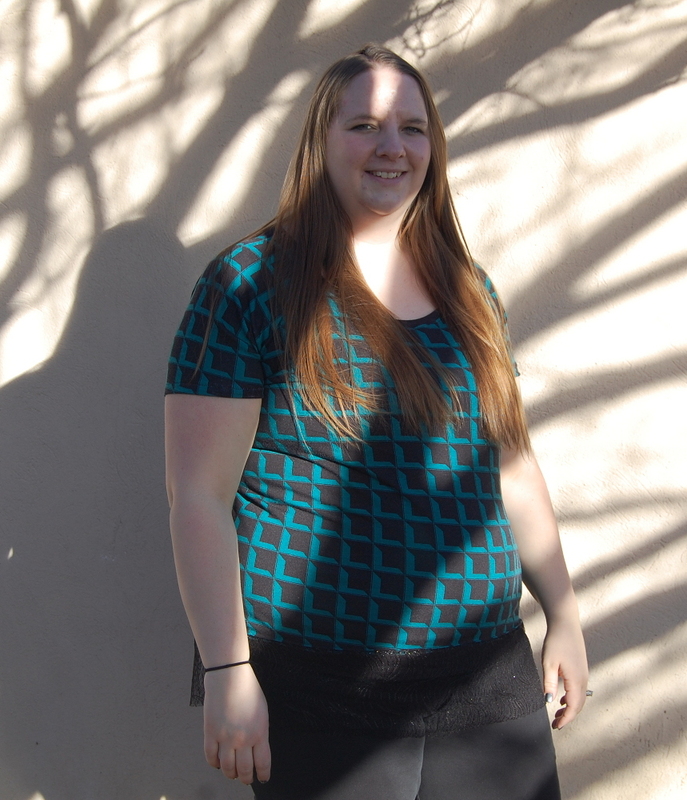 Janai made her version with a pop of colour to go with the great basic black tee. The wide open neckline and the short sleeves look great on her. You may remember Jessica helped me test my Capitol Hill pattern so I was very excited to have her back for this pattern. The graphic accent fabric elevates this basic black tee into something that would work great for a date night. Despite the snow in these pictures Angela sewed up a perfect spring inspired Bellevue. I am a sucker for a white t-shirt so this one was right up my alley. Heather make the most perfect neutral Bellevue and the fit was spot on for her. I love seeing fabric combinations that I wouldn’t normally do myself but that look so great I should. Jaclyn of Jaclyn Quilts pretty much rocks at fabric pairing. 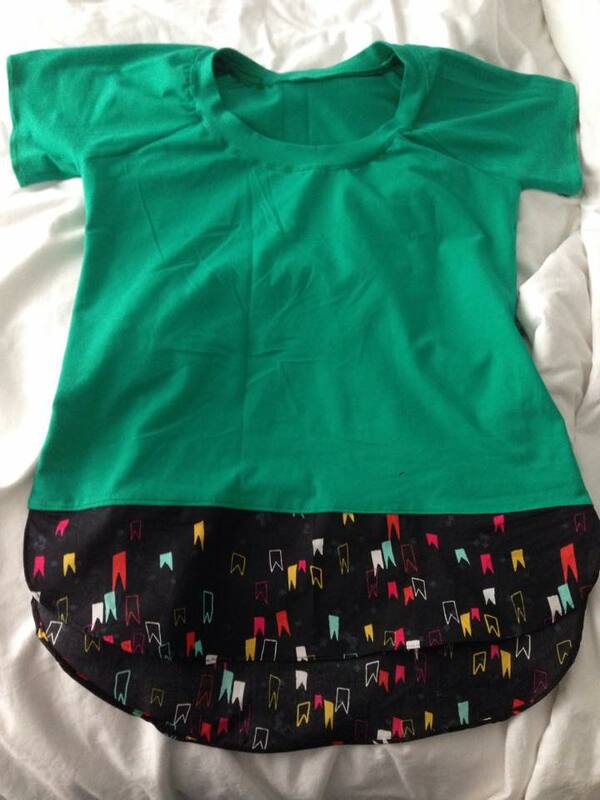 I am pretty sure I now need to make a shirt in that green because it is the perfect shade of green for the spring. 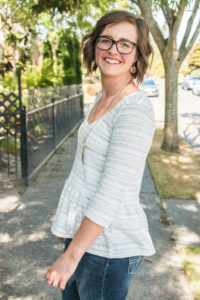 Veronica of Sometimes She Sews was taking a risk by signing up for a pattern test with knits having only made a couple of knit maxi dresses in the past. But I think we can all agree that she did amazing. The embroidered white knit she used gave her top a little something special and I frankly love it. Pau of NikoNiko showed that the Bellevue pattern even works if you are pregnant. 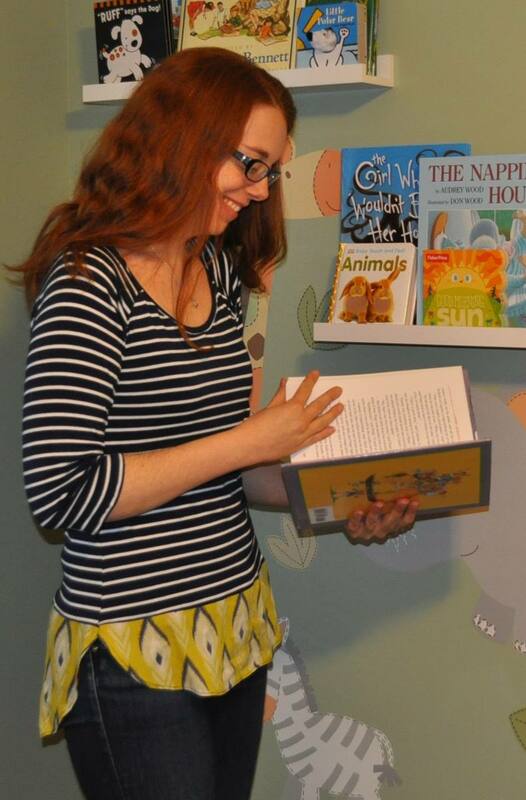 I think we can all agree that baby belly looks adorable in her top. I love she was able to just size up at the high hip point so that the top would lay beautifully on her belly without being too tight. Christina was so helpful sewing up a shirt in the new size range. 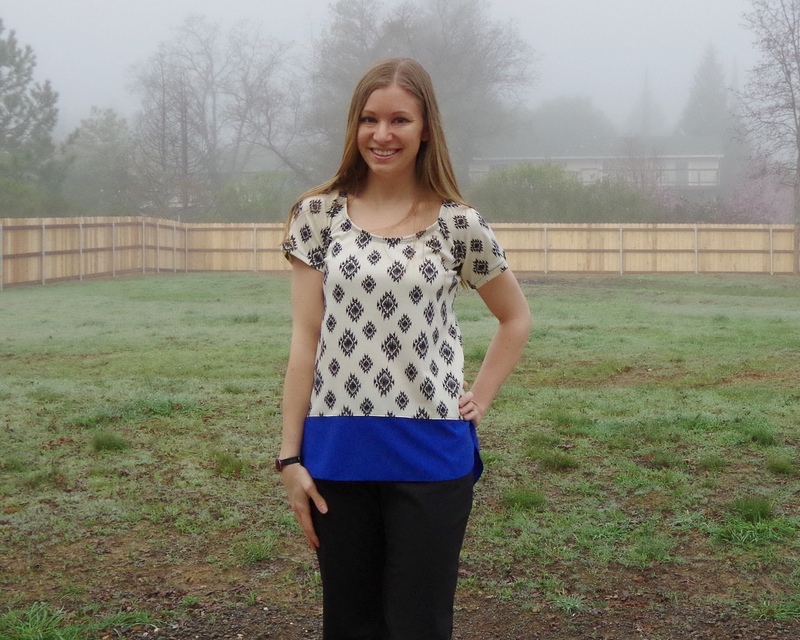 I like the pairing of a neutral accent piece with a fun printed top. 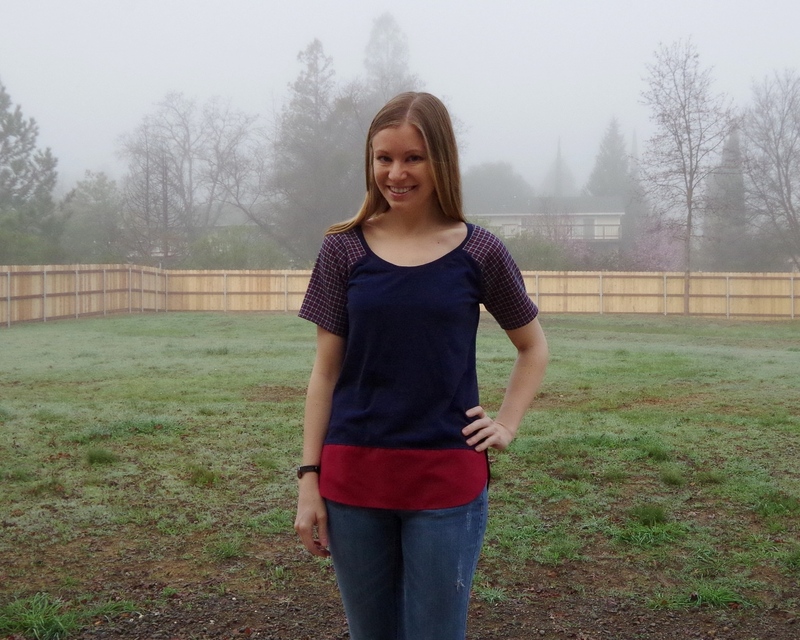 Melanie of Red Raspberry Shoppe made the perfect casual Bellevue and even used a contrasting neckband. This top is going to be perfect as the weather starts heating up. 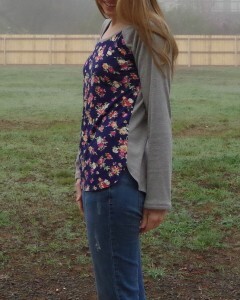 Melia made a great version out of sweater knit with a lace accent. Her sweater knit is similar to the version I posted yesterday and if it is anything like that I know this Bellevue is incredibly comfortable. 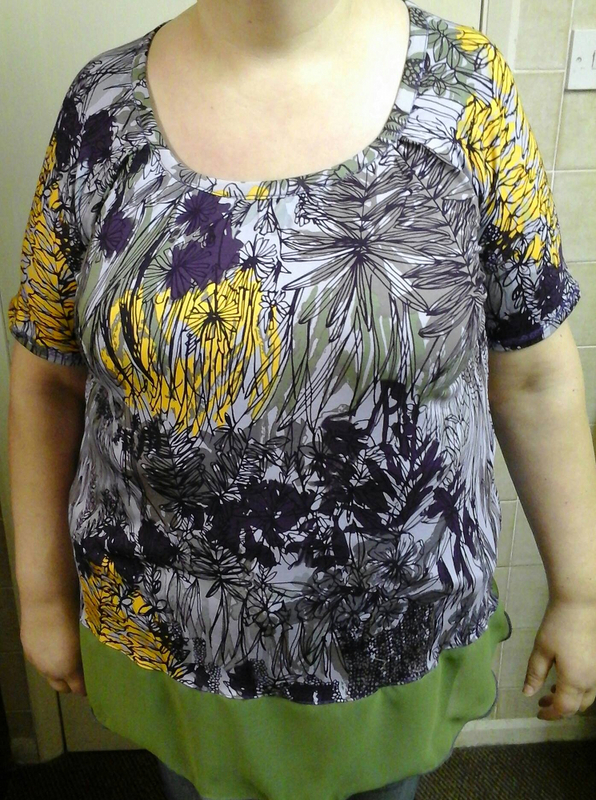 Libby of Sew Libby used her accent piece as a chance to add a pop of colour to her top. It definitely completed that top and was such a great compliment to the floral of the top. Heather of Stitchinsquatch made two versions during the test. 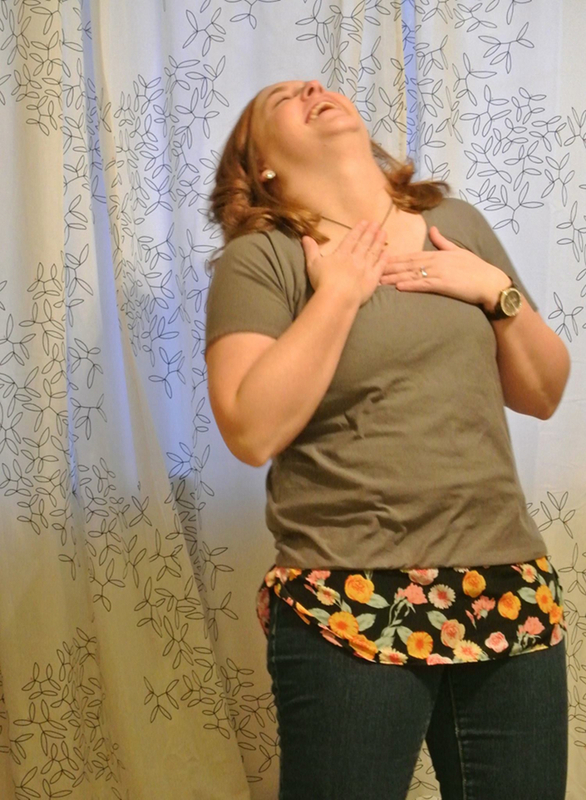 For her second version she revamped an old tee for the bodice and the end result is perfection. 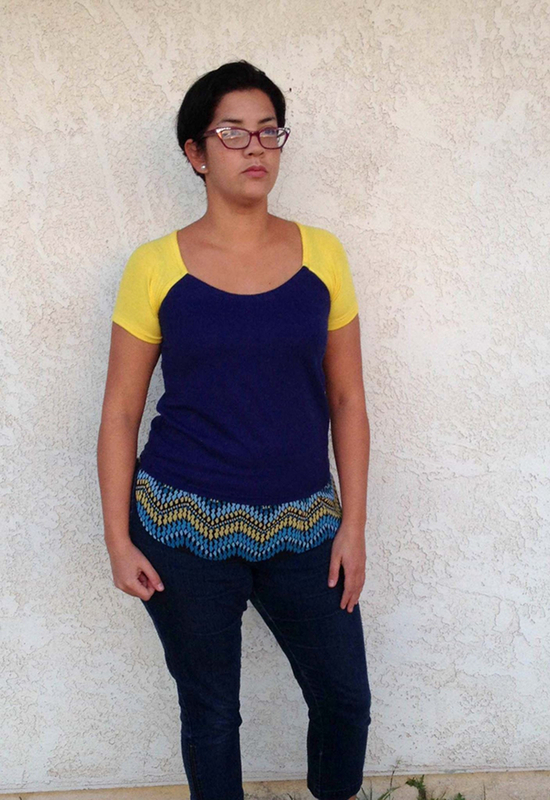 Melissa of Rebel and Malice did a great job of colour blocking the sleeves and then using a great coordinating accent fabric. She showed just how much variety is in the pattern. 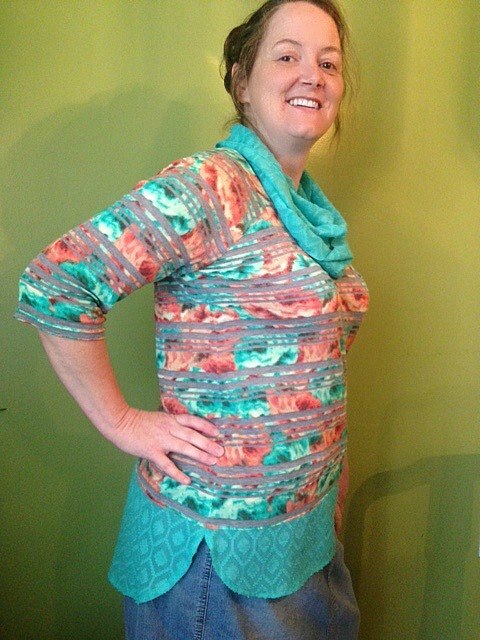 Allison of Shaffer Sisters sewed up this bright and colourful top with the elegate accent fabric at the bottom. Allison really helped me with the expanded sizes and I couldn’t be happier with the end result. 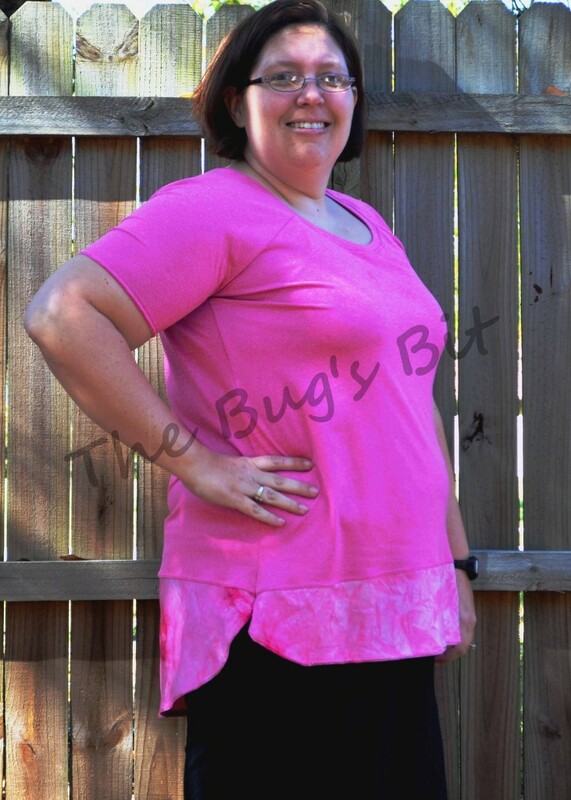 I met Erin of The Bugs Bit in the big PDF Pattern Group on Facebook when I mentioned that I was thinking of expanding my pattern sizes. She immediately said that whenever I released my next pattern she would love to test it for me. I made sure to get her on the list to help me with this pattern because she was such a support with the initial idea. Her lovely pink version so one that will get lots of wear this spring and summer. 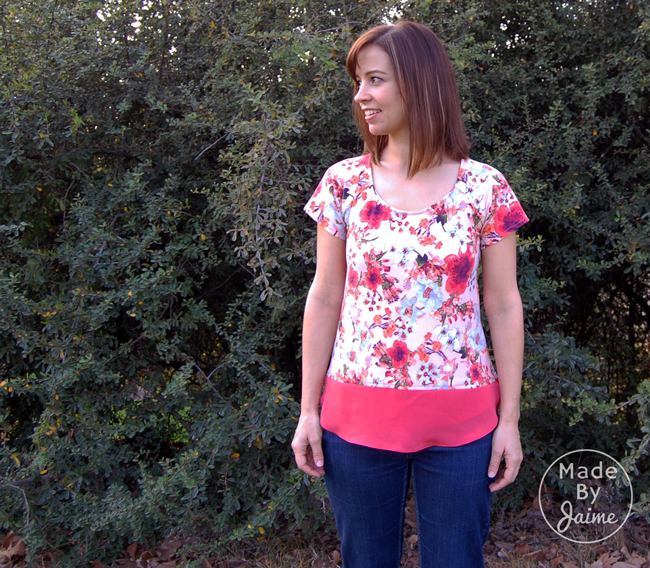 Alison is rounding out this tester roundup with her beautiful version of the top. Her son didn’t love the fabric 🙂 but all of us in the group thought it was a great choice. She even made a coordinating scarf which gives it almost a cowl neck. Put a Pocket On It! These are all beautiful and happy women! I LOVE IT!